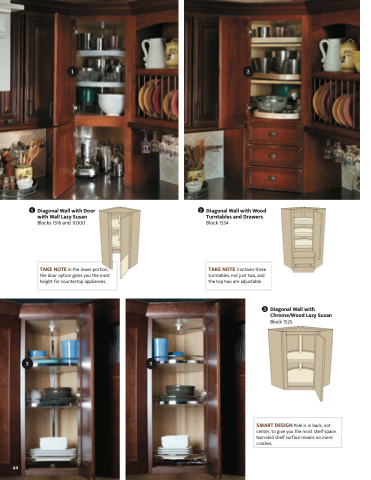 TAKE NOTE In the lower portion, the door option gives you the most height for countertop appliances. TAKE NOTE Contains three turntables, not just two, and the top two are adjustable. TAKE NOTE Adjust the turntables to a height you like. SMART DESIGN Pole is in back, not center, to give you the most shelf space. Non-skid shelf surface means no more crashes.